The Olympic silver dollar issued in 1983 to honor the 1984 Summer Olympic Games in Los Angeles became the first United States commemorative silver dollar issued since the 1900 Lafayette dollar commemorative was coined more than eight decades earlier. Since the mid 1980s, several dozen commemorative silver dollars have been issued recognizing a colorful array of people, places, and events. Commemorative silver dollars are relatively common and are readily obtainable in virtually every Mint State grade with few exceptions. 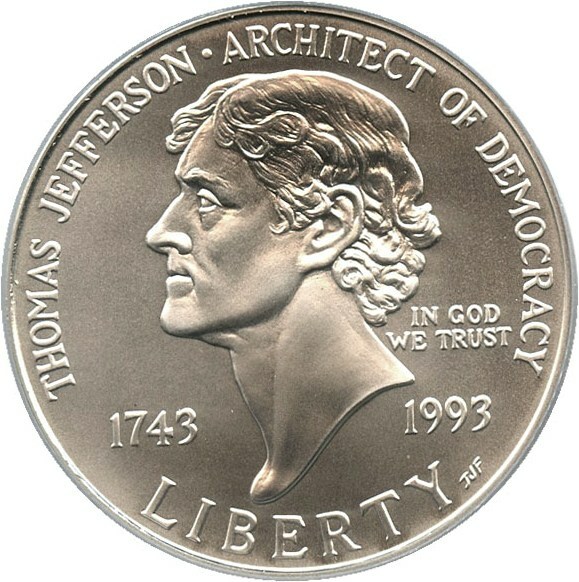 The scarcest commemorative silver dollars by type are found among the 1995-96 Olympic dollars, which were minted in smaller numbers due to greater demand for proof specimens. Of the eight uncirculated silver dollars belonging to the 1995-96 Olympic coin program, five have mintages under 20,000 and all were minted in quantities fewer than 50,000 pieces. Also on the scarcer end of the modern commemorative silver dollars are the 1997-S Jackie Robinson dollar, 1997-P National Law Enforcement Officers Memorial dollar, 1998-S Black Revolutionary War Patriots dollar, 2000-P Leif Ericson Millennium dollar, and 2001-D American Buffalo dollar. Aside from buying MS70 certified commemorative dollars, which usually seem to be in demand, it?s advisable to purchase crisp, spotless specimens in original government packaging.